The environmentally friendly waste digestant for your septic system. Over time wastes build up in your drain lines and septic tank. Lenzyme will help reduce such waste. Our natural digesting micro-organisms will not harm your plumbing or septic system like chemical drain openers can. 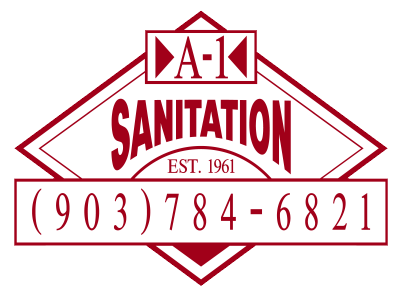 These enzymes along with a regular cleaning by the professionals at A-1 Sanitation is important to the health and reliability of your septic system. Our superior blend of enzymes and bacteria will help to reduce waste. A failing system isn’t like your car when it’s low on oil. No Red Light will go on to warn you of trouble ahead. One day it’s working fine and the next day trouble. Help your septic system by adding our digestant regularly. Help your grease trap and drain lines by adding our digestant regularly. LENZYME is an enzyme-bacteria product used in drains and septic systems of homes. It also is used as a biological sewage treating agent in industrial, commercial, and municipal installations. This would include wastewater treatment plants, wastewater treatment ponds, and on-site pre­treatment facilities. The process by which complex organic compounds (wastes) -in the presence of water, bacteria, and enzymes -are broken down or transformed into simpler compounds is known as digestion. This same biological digestion process is happening everyday at wastewa­ter treatment plants all across the USA. Enzymes speed up the union of water with a substance, after which the substance breaks up into fragments. Then the bacteria can take over and eat the waste fragments. Enzyme action is specifically targeted. For example, Protein splitting enzymes will affect proteins but not fats or carbohydrates. The enzymes contained in our LENZYME for­mula are amylase (digest starches from food products), protease (digest proteins from meats), cellulose (digest cellulose in toilet paper), pectinase (digest pectin from fruits and vegetables), and lipase (digest fats). Enzymes are organic catalysts. Catalysts are defined as substances that will speed up or alter the rate of chemical reactions without the substance being altered or used up in the process. The bacteria included in LENZYME are from the bacillus family. These helpful bacteria are strong waste digesters and are found in many wastewater applications. The bacteria included in LENZYME are harmless (no pathogens). In addition, the bacteria can live with or without oxygen, (aerobic and anaerobic). Thus, the product is suitable for application in areas where oxygen is either present or absent. The bacterial cultures contained in LENZYME are a selected strains ideally suited to thrive in on-site sewage and wastewater management systems. LENZYME is approved by the USDA for use in drain lines of official establishments operating un­der the Federal meat, poultry and egg products inspection program. Every effort has been made to apply the latest technology into LENZYME. Our product is unique in that each ingredient is functional or contributes to the biodegradation process. Why the need for LENZYME in the home and in industrial and commercial facilities? Homeowners have tried the addition of large amounts of acids, lye or caustic compounds. These chemicals may temporarily burn away some of the clogged material, but the ultimate result is damaging. Such chemicals kill bacteria on contact, and that puts an end to their digesting process that septic tanks and cesspools depend on. Plus caustics kill ground organisms which then become useless for the job of purifying the seeping ef­fluent. Chemicals and caustics change soil structure, breaking down the soil into finer particles that then pack together, reducing the ability of the septic tank or cesspool effluent to seep into the soil. When the bacteria within a septic tank or cesspool are abused or destroyed, a major de­crease occurs in the digestive capabilities of the system. There are no chemicals or caustics used in the LENZYME formula, just naturally occurring enzymes and bacteria that will help the waste digestion process of your wastewater system. You are also helping your local wastewater treat­ment facility because your wastewater will be less taxing on their treatment system.